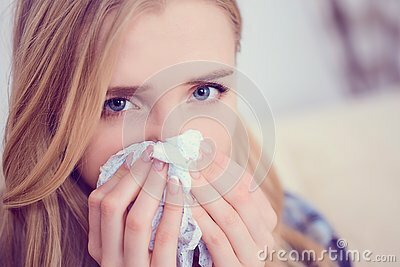 Sick Caucasian woman sneeze at home on the sofa with a cold or allergy. Girl Used tissue paper blowing her nose. Medical and health concept.